So until I can catch you up on my exciting weekend … I have a beautiful card that I just can’t wait to share with you! The minute I say it, I knew that I had to share it with you, however … I did not create this card, it was made by a fellow Stampin’ Up! demonstrator; Lorraine Anthony Alvarado who was kind enough to allow me to share her artwork with you. Isn’t this darling! 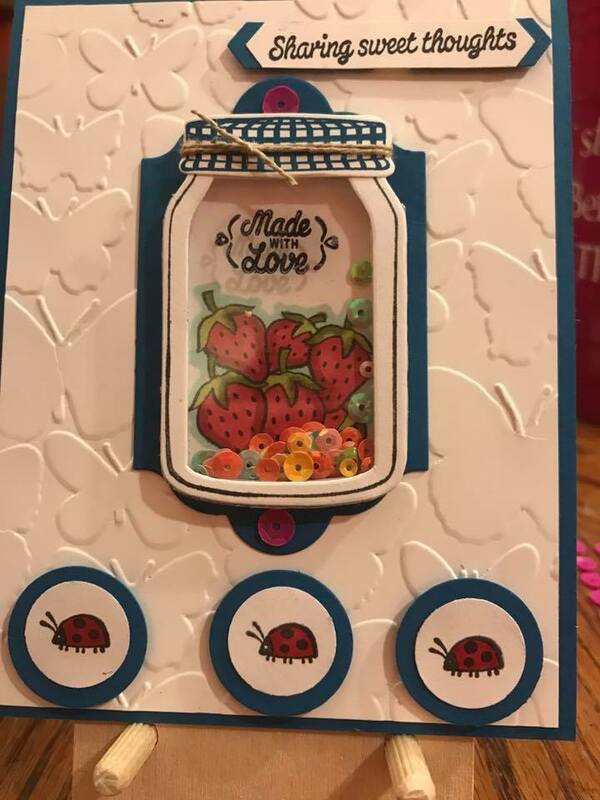 I love that Lorraine used the Jar stamp set and die to create a shaker card. She highlighted the jar by adding a mat behind it so it really pops and the cute little Lady Bugs add a wonderful pop of color. You will notice that Lorraine created this card with the “Sharing Sweet Thoughts” stamp set that I have been promoting the last few days for a fundraiser to raise monies for the Ronald McDonald House Charities. The money will help families stay in the housing so they can be close to their children with illnesses. To support my Fundraiser “STAMP OUT THE DIVIDE” and bring families together during an illness, all you have to do is purchase the “Sharing Sweet Thoughts” Stamp set from me. 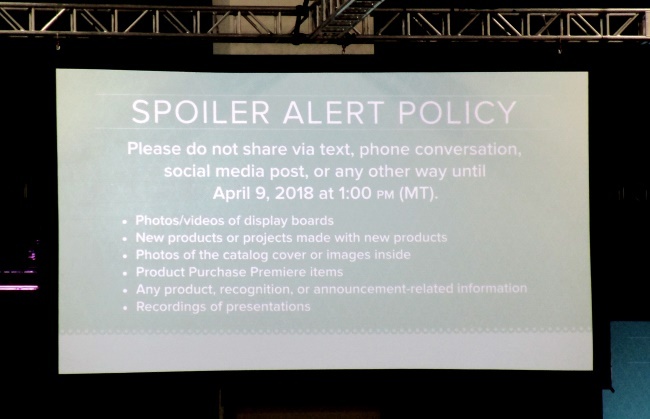 Thank you so much for stopping back, and I hope that you consider joining my Fundraiser “Stamp Out the Divide” … You purchase the stamp set, and Stampin’ Up! and I will make the donations!! It is that easy. Let’s keep our families together while their loved ones are fighting an illness. Have a great day and enjoy the week ahead!